In today's media-FLOODED world there is no way to control all of the information, claims and enticements that reach our children. The culture in America is so saturated in Christianity that the claims of that religion are couched in daily life in such a way that they are presented as normal and factual. I clearly remember Elizabeth as a young girl struggling to discern the reason for mentions of GOD in the Pledge of Allegiance, on our money, and in other public places. Right near our home was a billboard with hideous hideous imagery as well as referenced to God; driving past the sign daily always started conversation about the subject matter of the billboard (abortion) as well as about the belief system that backed the billboard. As a parent I realize that the best thing that I could do for my children was to provide tools to them for considering information and for thinking about claims: to arm them with the tools of critical thinking. That way, rather than getting my dander up every single time we were confronted with these images and messages, we could have a conversation where the kids could come to their own conclusions about the claims. So it helped ME to deliver critical thinking skills to my kids because I no longer felt all bunged up about the messages that they were being inundated with. Instead, I could see my children's minds working, and trying to make sense of these messages when they were based on claims that didn't really hold water when one really thinks about them. The following list is just a small portion of the books that used to be on my bookshelves when the kids were smaller. I spent hours and hours and hours looking for great reading material for them. I'll save you the time and shortcut you. Start here and then add titles that go in the direction that interests you. “Maybe Yes, Maybe No” by Dan Barker is a great place to begin with the reading. 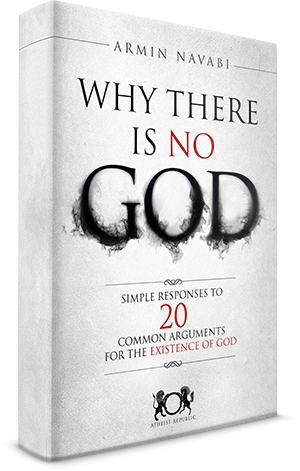 It is a thoughtful and relaxed book that looks at claims and replies with tremendous wisdom and trust in critical thinking. You will find yourself better able to respond to questions in Dan Barker's very calm, comforting and questioning tone. You will begin to trust the process. “I Wonder” by Annika Harris is for the youngest ones. It is an enchanting read full of the wonder and profoundness of questioning. This book assures our babies that the world, indeed our universe, is a wonderfully beautiful place and our questions about it are ways to enlarge our appreciation for this place where we live. It tells us to embrace the wonder and true beauty of our world. “A Solstice Tree for Jenny” by Karen Shragg is a short story for upper elementary school kids or above, about a young girl who has a family who no longer wants to celebrate Christmas. This book is a great start for a conversation about the reason for the season and a good start to conversations that might help your family figure out how you want to celebrate the holiday. “Our Family Tree: An Evolution Story” by Lisa Westberg Peters is full of great illustrations as well as laying the foundation for evolution. Even if your children are learning other creation myths (*in fact, I recommend learning as many creation myths as possible!) the evolution story will be there, silently making sense and standing out as reasonable. “Life on Earth: The Story of Evolution”by Steve Jenkins goes further in the evolution saga and introduces Charles Darwin. I remember the kids pouring over the images in this book! “Older than the Stars” by Karen Fox gives a wonderful synopsis of the Big Bang, as well as celebrating how our own existence is a result of this event, as well as a result of years of evolution. It is celebratory and exuberant. It’s just what your child will enjoy! Who doesn't love being thought of as Star Stuff?! This book might be more for an older child (7+) as it has far fewer pictures and illustrations than other titles. “What Do You Believe?” by DK is a fantastic comparative study of religions and philosophies for the older child. I strongly urge the reading and studying of various religions and doctrines. Nothing, and I mean NOTHING, makes a freethinker faster than this type of study. “Maybe Right, Maybe Wrong” by Dan Barker: While we are looking at books for the slightly older child, this particular book is one of my favorites. Using a Socratic method, the children in the book have conversations that look at a variety of claims. Reading through these dialogs is enlightening as well as informative, especially if you are still wondering how to attack a claim, as well as what questions to ask. “Born With a Bang: The Universe Tells our Cosmic Story, Book 1” by Jennifer Morgan is the beginning of an incandescent story that is gripping, exciting and delightful to read. Read to your kindergarten child, explaining to them as you read, and prove that it is never too early to read really good science drama! Remember, your children are very capable of learning complex concepts even in their earlier years. Respect that and read great titles whenever possible! “Raising Freethinkers: A Practical Guide for Parenting Beyond Belief” by Dan McGowan was THE book for me years ago when I was just starting out with this secular parenting thing. I haven't read in in awhile, though I have read criticism for it lately, but I do remember feeling as though I had finally found what I was looking for! “Awkward Moments Not Found In Your Average Children's Bible” by Horus Gilgamesh: I have not read this book, but I'm going to! The same is true with “An Illustrated Book of Bad Arguments” by Ali Almossari. 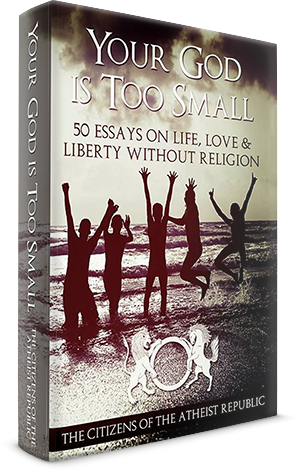 I recently heard Peter Boghossian in “The Thinking Atheist” podcast and I do plan on getting his book: “A Manual for Creating Atheists” when I get back home. I enjoyed listening to him because he is not only very dedicated and wise, but he is also so laid back! I like knowing that one can be on a serious mission to spread atheism and still be totally chill. Let’s not forget your basic science-based readers like “Flash, Crash, Rumble, and Roll” by Franklin M. Branley, which are books that explain the science behind natural phenomenon. I would like to see more books on logical fallacies for children, as well as more books on critical thinking, humanism and SCIENCE! As I tell my daughter who is aspiring to be an author, write the book that you want to read! Remember, time is on your side. Having your children consider religions seriously is quite a powerful way to watch them come to their own conclusions about what makes sense in their lives and what makes sense in our world. I am a Midwestern American, currently living in Brisbane, Queensland, Australia. I am an openly out joyful atheists with a penchant for science, literature, travel, theater, photography, studying all fields of learning, except for math which gives me hives, reading, blogging, and listening to the secrets of my children while we walk on the beach or cuddle under the blankets. I am an optimist, a lover-not-a-fighter, a person who thinks a bit too much and is a bit too sensitive... I am a homeschooling mum of two children (ages 16 and 12) and the wife of an amazing man. I love sweatpants. I believe in the inherent goodness of all people.